Our donors generously give their time and blood to help save lives, so it’s no surprise that they care about health. As such, we often encounter questions about donating blood and running (particularly donating while training for a race like a marathon). Well, we have good news for all of our runners out there hoping to give the gift of life…you can definitely still donate! But there are some things to know before you decide when and what to donate. Certain requirements must be met to donate blood, including having the right hemoglobin count. Anemic individuals are likely to have lower-than-necessary hemoglobin count (essentially, low iron), and thus may not be eligible to donate. Many female endurance runners are anemic, so it’s possible that they may be ineligible. Luckily, there’s an easy way to find out. Just make an appointment, and we will test your hemoglobin after you check in. If you have the right hemoglobin counts, you can go ahead and donate. If not, we still appreciate you trying…and you can tell a friend to donate in your place! We discourage vigorous exercise for a full 24 hours after donating…so if you want to give blood, line up your appointment with your rest day! Whole Blood: Most of you are probably familiar with whole blood – this is the most common form of blood donation, where the donor gives one pint of blood containing all the blood products: red cells, platelets, and plasma. It will only take a few days for the plasma to fully recover, but it can take a several weeks for the platelets and red cells to fully recover. However, a study at University of Northern Texas showed that time to exhaustion for runners who donated whole blood was back to their baseline after seven days. 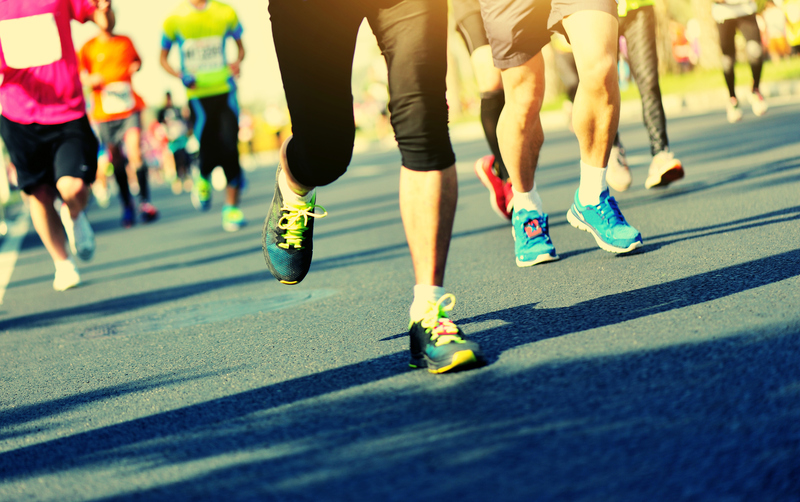 We understand that a week of slower performance can be long time for a runner, so donating whole blood might not be the best option for you while you are training (or at least in the peak of your training season). However, we encourage you to give whole blood in your off season or at the beginning of your training! Double Red Blood Cells: During a double blood red cell donation (DRBC), a special machine is used to extract just the red cells, while your plasma and platelets are returned to your body. Through this process, we are able to take twice as many red blood cells as a regular whole blood donation. Typically, this type of donation is reserved for those with higher hemoglobin and body weight/height requirements. So again, you might want to save this type for the off season. Platelets: Platelets are most often used for cancer patients and organ transplants. Like double red cells, a special machine is used to extract only platelets, but your red cells and only some of your plasma is returned to you. The recovery time for donating platelets is less than whole blood or double red cells, but it’s probably best to donate platelets in the beginning of your training season or when you know you’ll be able to take a small break. Plasma: Just like platelets and DRBC, a machine is used to extract plasma and return the other products (red cells and platelets). However, recovery time is much shorter for plasma because so much of the blood content is returned. In fact, the study showed that the time to exhaustion for runners who donated plasma (as opposed to whole blood) was back to their baseline after just two days. So if you are in your training season and are ok with a couple of days of slower performance, plasma donation is the route for you! If you do decide to donate, in season or off, make sure you drink plenty of fluids, don’t skip any meals, and eat an iron-rich diet prior to your appointment. To schedule an appointment to donate, visit us online or give us a call at 650-723-7831.